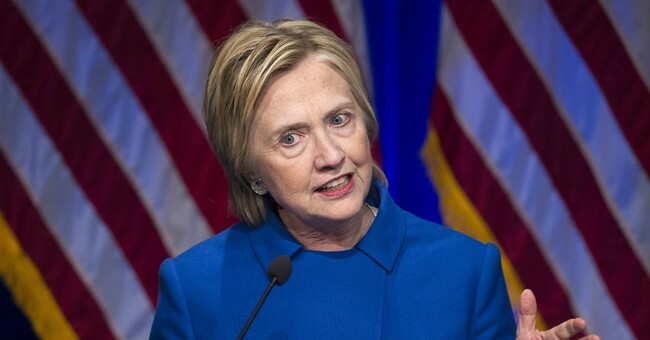 Hillary Clinton very briefly responded Wednesday to former DNC Chairwoman Donna Brazile’s bombshell claims on “Late Night with Seth Meyers,” informing Meyers that it simply “wasn’t the case” that her campaign had unfair influence over the DNC before the primary. "She sort of, in her book, made this comment that your campaign, through an agreement, had too much influence maybe at the detriment of the [Bernie] Sanders campaign. She's sort of walked back those comments now," Meyers said. "What was your reaction to that?" "I didn't know what she was referring to, because as has now come out, that just wasn't the case," Clinton said. Clinton then rapidly shifted topics to the Democrats’ recent election successes. Although Brazile is now claiming that the primary was fair, an excerpt of her book published last week in Politico suggests otherwise. "I had promised Bernie when I took the helm of the Democratic National Committee after the convention that I would get to the bottom of whether Hillary Clinton’s team had rigged the nomination process, as a cache of emails stolen by Russian hackers and posted online had suggested," Brazile wrote. "By September 7, the day I called Bernie, I had found my proof and it broke my heart," she concluded just a few paragraphs later. Sen. Elizabeth Warren (D-MA) told Jake Tapper last week that the primary was rigged.